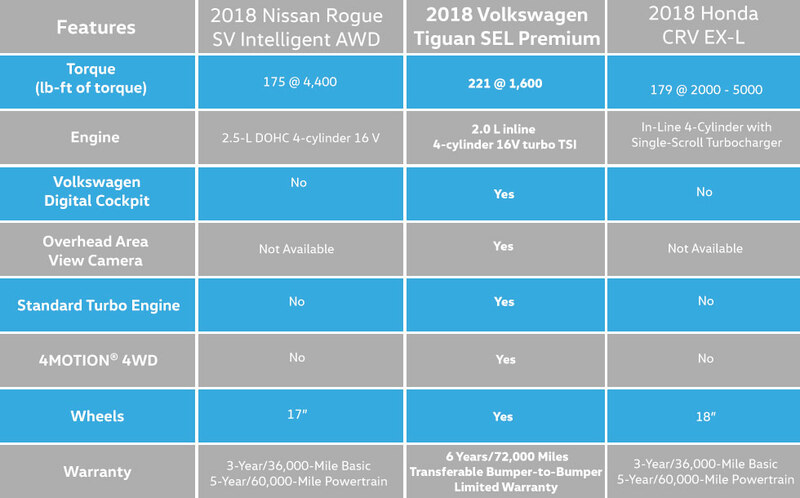 When it comes to standard turbo, competitors like the 2018 Honda CR-V and Nissan Rogue can’t compare! The new 2018 Volkswagen Tiguan comes out on top with a standard turbo engine on all trims. 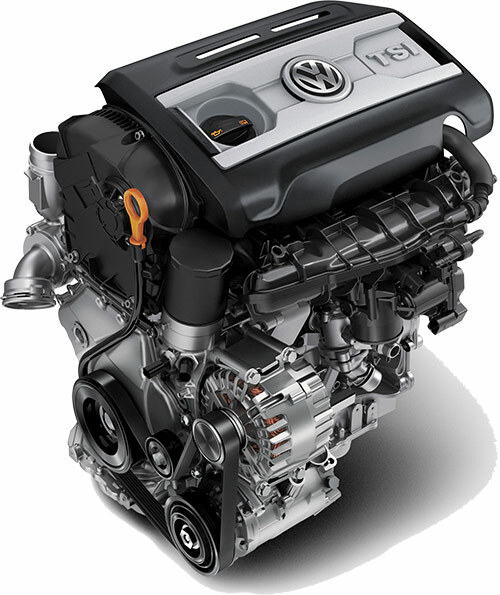 Plus the new Tiguan also delivers up to 221 lb-ft of torque at 1600 rpm, that’s more torque than the CR-V and the Rogue! The 2018 Volkswagen Tiguan is a premium crossover that delivers the features you really want! The Tiguan comes equipped with an available overhead view camera, plus standard sliding and reclining second row seating, two time-saving convenience features not available in the 2018 Honda CR-V. This compact SUV also comes with innovative touches not found in the 2018 Rogue either. Only the 2018 Volkswagen Tiguan has the Volkswagen Digital Cockpit with a 12.3” high resolution digital instrument cluster. When you choose the 2018 Volkswagen Tiguan, you’re choosing to drive with added peace of mind. That’s because when it comes to warranties, there’s simply no comparison between the Volkswagen People First Warranty and its competitor’s coverage. When you compare Volkswagen’s 6 Years/72,000 Miles People First Transferable Bumper-to-Bumper Limited Warranty to the rest, there’s simply no comparison! 6 years/72,000 miles (whichever occurs first) New Vehicle Limited Warranty on MY2018 VW vehicles, excluding e-Golf. See owner’s literature or dealer for warranty exclusions and limitations. Volkswagen of Gainesville	29.687046, -82.318249.